Klingberg Family Centers is full of rich history, and some of that history is quite literally built into our walls. 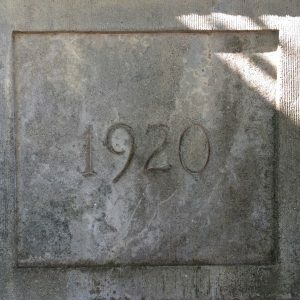 The construction of our main building was begun ninety-eight years ago almost to the day in 1920. 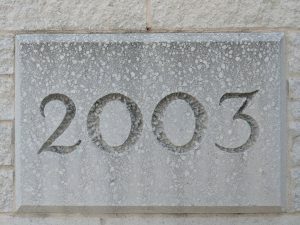 Like many buildings, its cornerstone contains a time capsule of various knickknacks. Among them are autographs from many people involved in the building’s construction, the first annual report and the 1919 – 1920 annual report, and early pictures. Fifteen years ago Klingberg Family Centers built the Raymond Hill School, just in time for the 100 year anniversary of the once–Children’s Home. Its cornerstone is also a time capsule. Placed inside were photos of children, letters and copies of checks representing major contributions from foundations and corporations, as well as family photos from the great granddaughter of Reverend John E. Klingberg, Karen Rettich. Eighty-three years apart, these two buildings’ cornerstones share in capturing the history of Klingberg. Each contains photos of the work we do to serve children. Likewise, we memorialize the growth we’ve had in annual reports and letters and copies of checks. We are keenly aware of both whom we help and those who have helped us.